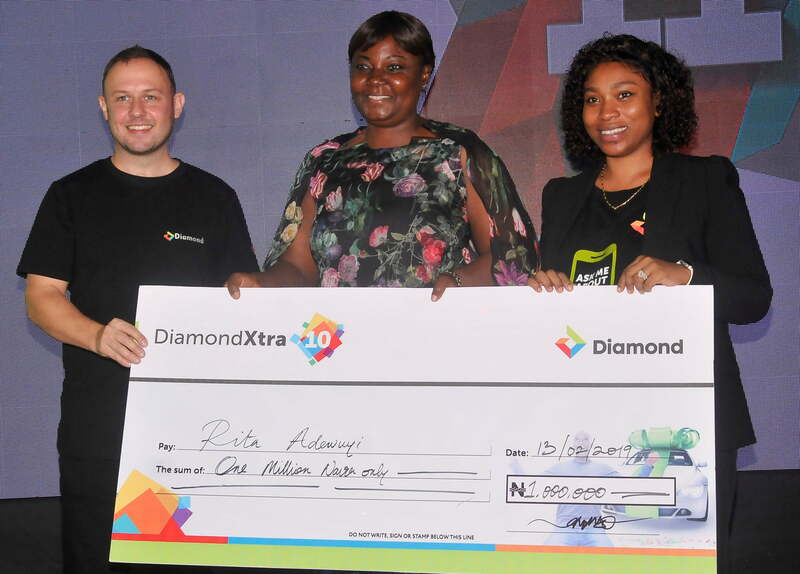 The Season 11 of Diamond Xtra savings promo of Nigeria’s leading financial institution, Diamond Bank, has kicked off. According to the bank, 4,750 customers will win about N400 million in the loyalty reward scheme. Speaking at the launch on Wednesday, Head, Retail Banking, Robert Giles, said Diamond Bank, in the last decade, rewarded 15,000 customers with over N5 billion in prizes. He said: “Customers told us that they do not want just basic interest but to have the opportunity to win big which is why we launched Diamond Xtra whilst building a strong stable deposit base for the bank. “So our interest is aligned with those of the customers who want the opportunity to win big while we look for opportunities to serve them for a very long time. 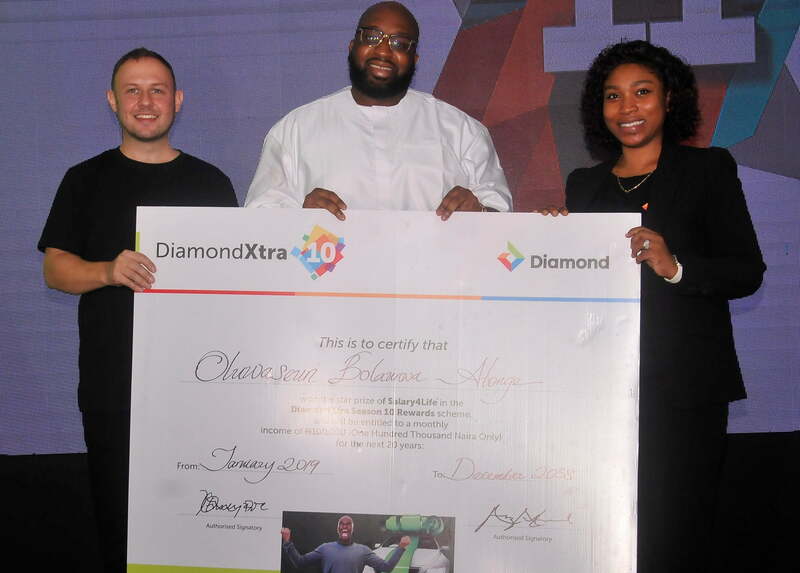 “For the 11th season of the Diamond Xtra Savings promo, two new products in Senior citizens and Loyalty reward for customers who have been with Diamond Bank for five years and more has been added. “Every quarter, we will be giving out prizes to 45 senior citizens as we are making sure that we do not just look after the emerging youth but we look after the population that guide the youth”, he explained. Continuing, the official assured that the Diamond and Access Banks merger will bring the best of strong core print in treasury platform as well as the best of retail banking. In his remark, Head, Consumer Banking, Diamond Bank Plc, Karimont Tukur, noted that “Diamond Xtra is not going away, it is here to stay and so customers should not panic as the corporate marriage between the two banks will ensure more accessibility of products to more customers. Also speaking, Head, Consumer Banking, Diamond Bank Plc, Karimont Tukur, urged more Nigerians to participate in the promo.